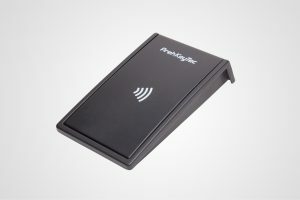 PrehKeyTec is a leading manufacturer of application-specific interface devices, such as Airport Wedge Devices, ATC and Check In Keyboards, OCR Readers and Document Scanners. 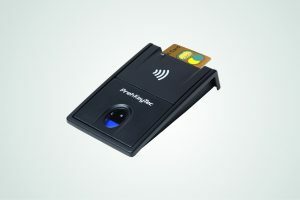 PrehKeyTec announces the availability of its suite of products designed for the aviation, airline and terminal industry. Our solutions are installed in demanding operating conditions which require high quality products to ease check-in and boarding processes as well as reliable data-input in air-traffic-control (ATC). MCI keyboard series for ATC. All OCR versions are certified by the leading system integrators for airports/airlines. Both wedge devices are available with USB and offer optional IATA FOID COMPLIANCY (masking of credit-card data). The MCI 111 A has an optional RS232 AUX port for connecting Barcode scanners or other wedge devices. The systems allow to work under all common used operating systems including Windows 7 and are highly flexible in being adjusted to individual needs without having to send them back to the manufacturer. 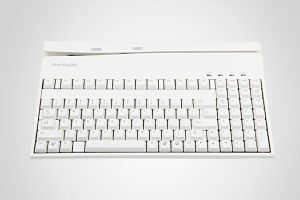 PrehKeyTec has earned its reputation for long lasting and highly flexible devices over several decades of designing and manufacturing reliable data input devices. 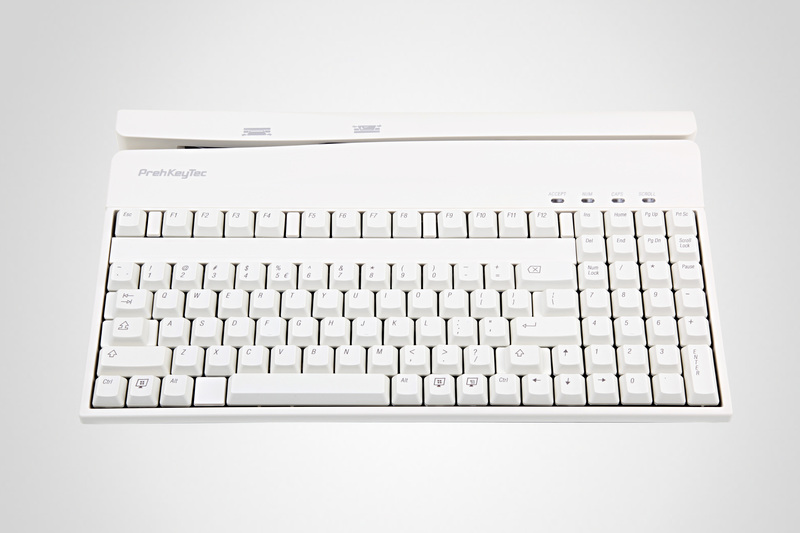 The MCI 111 A combines all of PrehKeyTec’s knowledge on the design and manufacturing of keyboards, with the necessary functions required for airline and terminal check-in process. 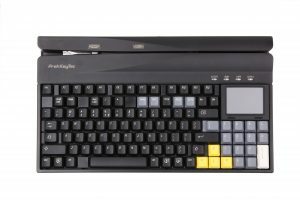 Using PrehKeyTec’s advanced integration capabilities, the MCI 111 A supports alpha numeric data entry, with an optional integrated touchpad, a 3-track MSR and an OCR. A single USB port connects the keyboard to the host device. You no longer have an issue with cable management when combined with PrehKeyTec’s advanced macros. Hot keys allow the elimination of keystrokes, speed overall processing time with customers, and enhances your staff’s efficiency. A software tool allows to easily configuring keys and integrated modules. Reduced training time, enjoyed by utilizing a custom-tailored solution, brings employee productivity levels up to speed quickly. The MCI 111 A operates in environments of major airport/airline integrators. The MCI 111 A is now also “LINUX ready” and offers higher data-security through optional Encryption. 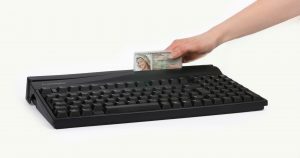 IATA FOID compliance is another important feature of the IP 54 protected data-input device. The new ML 4 module has an integrated RFID/NFC reader and offers as an add-on to the MCI 111 A the reading of ePassports. 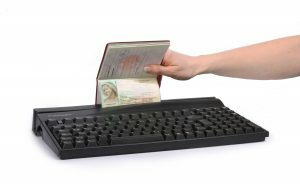 Need to read visas, passports and have limited amount of space? The ML 2 A is your answer. Capable of reading both OCR machine character, the ML 2 A is ideal for any application that has to read passport or travel documents. With a first time read rate of 98 percent, the ML 2 A will help reduce the check-in line. The most common protocols are supported and can be selected by a software tool without changing firmware or setting jumpers. A 3-track MSR is included to read common credit cards, loyalty cards or ATB’s. The reader is bidirectional. 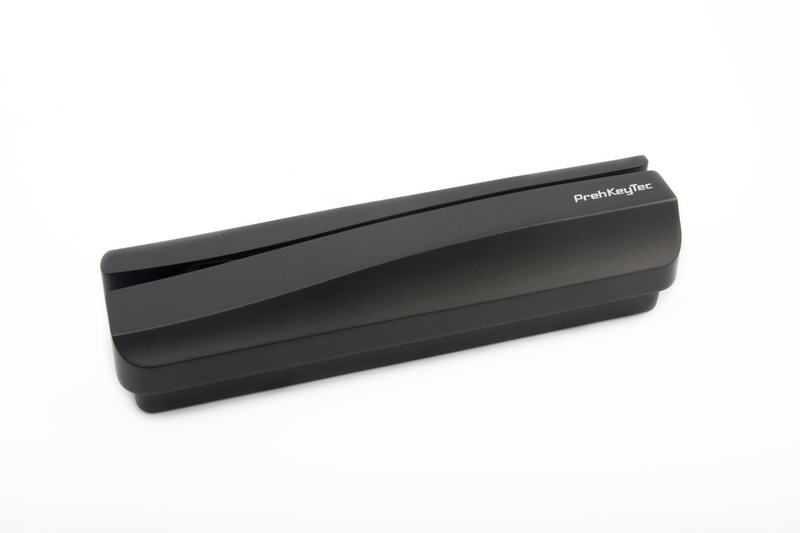 This document reader is the ideal solution to read multiple documents quickly and easily. Up to three independent readers provide the user with support for fast data entry. 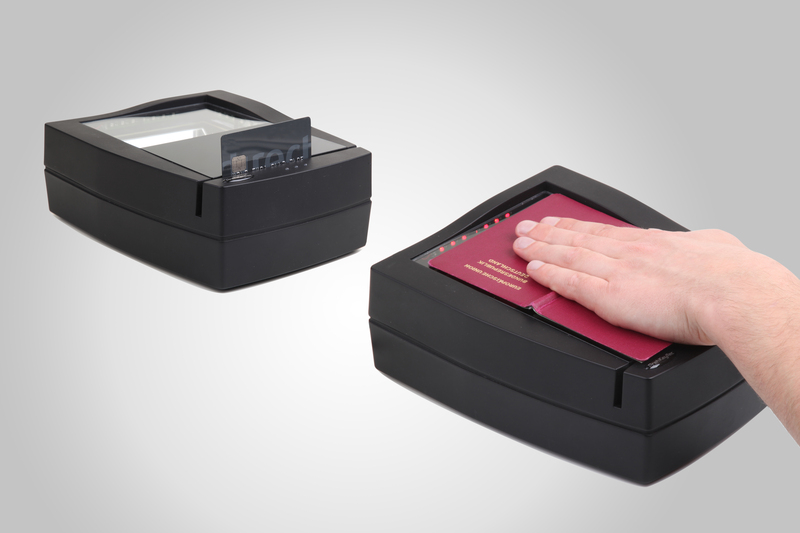 The scanner for reading ID and travel documents, capture images and read 1D or 2D barcodes. 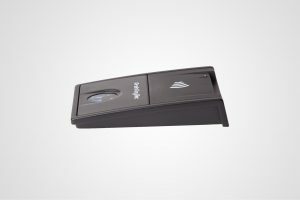 The bidirectional magnetic card reader for reading credit cards and customer or service cards. The optional RFID reader can read ePassports according ICAO. The PKT 4000 is the ideal solution in all situations in which fast recording of ID documents and credit card documentation is required. Example applications are airline check-in, car rental, rental or valuable items, hotel, banking and mobile operators. The MCI 111 A and Gate Checker also offer optional AES encryption for MSR readings and manually entered transactions. The OCR versions also allow encrypting of the critical personal data from visas, passports, green cards or similar documents. PrehKeyTec utilises AES encryption algorithm with a 128 or 256 bit key. Data is encrypted at the point of entry, and remains encrypted until the point the administrator chooses to decrypt the data. As such, this solution provides true and-to-end encryption for transactions, a unique capability in today’s market. 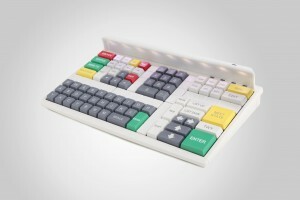 This compact MCI 128 keyboard combines flexibility in layout and illumination through an additional module with LEDs. It requires little space, is extremely reliable and user-friendly as well as excellent by ergonomic handling and modular flexibility. It is the professional solution for ATC applications.